Program Director (B.A. International Relations & Global Politics); Associate Professor (M.A. Peace Studies). Prof. Irene Caratelli has been at the AUR since 2010, and became an Associate Professor in 2013. Her areas of expertise encompass three disciplines: International Relations, European Studies and International Political Economy. At the AUR, prof. Caratelli has been teaching introductory classes to Political Science; advanced classes on Democracy and Democratization; International Political Economy; The US, the EU and China. At AUR she launched the Special Guest Seminar Series on International Relations, which complement course lectures by giving students opportunity to encounter, listen and address professionals coming from different fields (e.g. academia, policy, diplomacy, and media) on contemporary IR-related issues. Prof. Caratelli is also promoting the IR Field Study Trips, having recently led AUR students to: Vienna, Brussels, Catalonia, Turkey. Other field trips will take place in Israel-Palestine and Russia. The field trips represent a powerful tool to engage students with a non-traditional academic approach. It is a resource of exceptional academic value for the students, enabling them to meet practitioners and go beyond the University’s classroom. Field Study Trips have also been successful in retaining students in their studies by creating strong bonds between them, which continues after the Field Study Trip experience. Before her academic experience, Professor Caratelli worked as a policy analyst and as a consultant. She was a policy analyst at the Istituto Affari Internazionali (IAI, a Think Tank based in Rome). There she worked in the WTO and Trade Policies Area, within the Laboratory of International Economics. 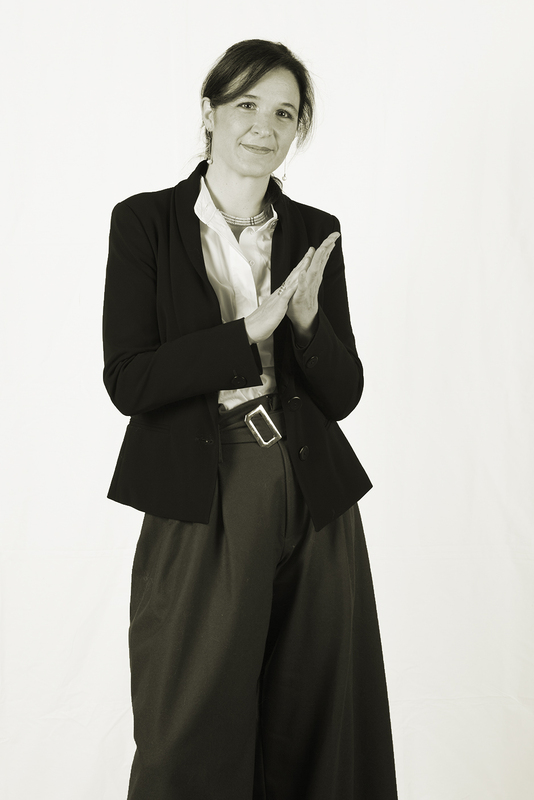 In 2010 she has worked as a consultant for ResetDoC (Reset Dialogues on Civilizations), a Think Tank based in Rome, and The Permanent Peoples’ Tribunal (PPT) of The International Lelio Basso Foundation, on: “The European Union and Transnational Corporations in Latin America: Policies, Instruments and Actors Complicit in the Violations of People’s Rights”, which was held in Madrid. Prof. Caratelli has teaching experience also in other universities. After completing her BA, she started her academic career as a teaching assistant of International Economics at La Sapienza University, in the Department of Social and Political Science. At LUISS (Libera Università di Studi Sociali, Guido Carli) School of Government, she has taught EU International Economic Relations course within the Master in European Studies (MES) program. At St. John’s University, she offered a course on the Political Economy of International Organizations and Development. Caratelli I. (2013) “EU’s Hard Multilateralism Inside and Soft Multilateralism Outside: The Case of Multilateral Trade Negotiations in the WTO” in EU in International Organizations Across Time Structure, Consistency and Commitment (ed. M.Telò), London: Ashgate, forthcoming Spring 2013. Caratelli I. (2013) “L’UE e il Mediterraneo: Stabilità o Democratizzazione e Sviluppo?” in L’Ue e il Mediterraneo (ed. E. Pföstl), Rome: Istituto San Pio V, forthcoming. Guerrieri P. & Caratelli I. (2006) “EU’s Trade Policy and Its Global Role” in The European Union in World Politics, Rajendra K. Jain Hartmut Elsenhas Amarjit S. Narang (eds) New Delhi: Radiant Publishers. Guerrieri P. & Caratelli I. (2004) “Le relazioni commerciali internazionali, il Round di Doha e il fallimento della Conferenza Ministeriale di Cancùn”, in A. Colombo e N. Ronzitti (eds), L’Italia e la politica internazionale, Bologna: Il Mulino, pp. 169-179. Guerrieri P. & Caratelli I. (2006) “EU’s Regional Strategy, the Challenges Ahead”, The International Trade Journal, Vol. 20, No. 2 , pp. 139-184. Guerrieri P. & Caratelli I. (2004) “Il fallimento della Conferenza ministeriale di Cancùn e le prospettive di rilancio dei negoziati commerciali multilaterali”, Special Issue: Il Commercio Internazionale ed i negoziati WTO, Nuovo Diritto Agrario, Rivista di Economia, Politica e Diritto dell’Agricoltura e dell’Alimentazione, pp. 13-23. Guerrieri P.,Caratelli I. & Chirullo M. (2003) “An Economic Perspective on Saudi Arabia’s International Integration. The Accession to the WTO, the GCC Integration, the Arab Common Market”, Research Report, Deutsche Gesellschaft für Technische Zusammenarbeit (GTZ), pp. 33. Guerrieri P. & Caratelli I. (2003) “Multilateralismo e Regionalismo nei Rapporti Commerciali”, Rapporto Annuale dell’Istituto Nazionale per il Commercio Estero – Istituto Commercio Estero-ICE, pp. 71-6. 2012 September “EU Trade Policy: Changing Values, Patterns And Priorities” Paper presented at the Panel: Beyond Foreign Aid: The EU And The Developing World In A Changing Context XXVI SISP Conference, 13-15 September 2012 Università Roma Tre – Rome, Italy. 2012 June “EU in International Organizations Across Time Structure, Consistency and Commitment”, 18-19 June 2012, Institute for European Studies (IEE), Université Libre de Bruxelles (ULB), Brussels – Belgium (June 18-19). 2011 May Transatlantic Academy, Monte dei Paschi di Siena and IAI organize in Rome the Conference: “Rising Powers and the Global Economy: A Transatlantic Perspective”, (May 18). 2010 April Conference at Master of European Studies, LUISS University, Rome: “The External Trade Policy of the EU: Economic Features and Political Opportunities” (April 20). 2008, March International Studies Association (ISA) 49th Annual Convention, San Francisco, CA. Presentation of the Paper: “The EU: Following Economic Interests and Spreading Norms, The Case of the Democratic Clause in EU-Mexico Global Agreement” (March 26-29). 2007, May Syracuse University (Syracuse, New York) organised the international workshop: “The EU in International Trade Negotiations”, Paper presented: “EU Trade Power and Influence: Defying Traditional Assumptions” (15- 16 May 2007). 2007, June IEE-ULB Institut d’études européennes and Université de Bruxelles, (Brussels) orgnised the PhD School: “Global Governance & Regionalism: The Interregional Dimension”, Paper presented: “EU Bilateral and Bi-regional Agreements: Same Rationale and Effects? The cases of Mexico and MERCOSUR” (June 11-15).